Learn about our thoughtfully crafted collection of classic menswear, updated for today. Our lifestyle posts will explore in depth our quality dress shirts, dress clothes & business attire. Halloween is quickly approaching, and we know that you’re probably thinking about what you’re going to wear to this year’s Halloween bash. Buying an outfit at a costume shop is a popular option, but many prefer to wear homemade costumes because they tend to be more budget-friendly and can be more unique than the same old choices appearing in stores year after year. Luckily for you, it’s a cinch to create a costume utilizing almost exclusively items from your own closet. Depending upon the character you choose, you might need to go out and purchase a couple of accessories, but you’ve already got most of your costume on hand already! 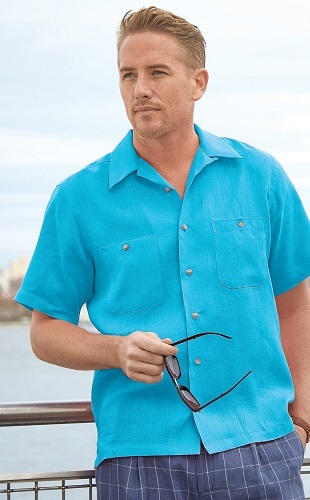 Linen is a textile best known as the quintessential warm-weather fabric. It has been produced for thousands of years by numerous civilizations, and surviving artifacts like the hieroglyphics below give a glimpse into just how important of a role it played. 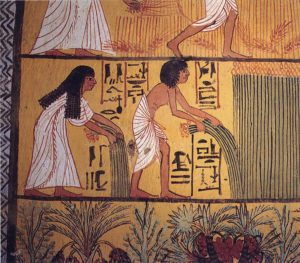 A clothing staple even after millennia, linen’s continued popularity demonstrates its truly impressive staying power. 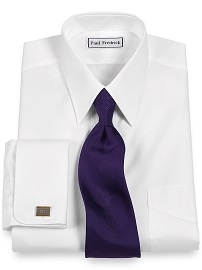 You might feel overwhelmed by the variety of dress shirt collar styles out there. How do you know, for example, which collars work best for your face shape, which styles are the most and least formal, and which tie knots should be worn with which collar? We’ll review our most popular and the most commonly found collars here: the Straight Collar, the Button Down Collar, the Spread Collar and its variations, and the Tab Collar. Read on to find out the answers to your biggest collar questions. 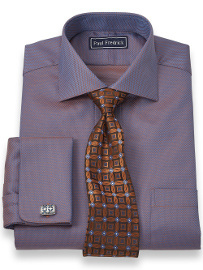 Paul Fredrick offers a wide variety of colors and patterns in all 100% cotton fabrics. 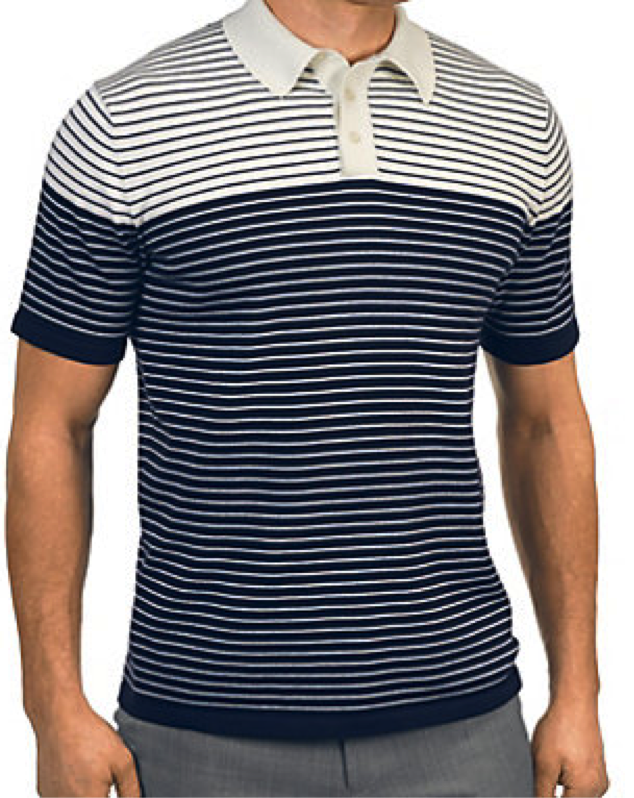 These include Pinpoint Oxford Cotton, Broadcloth Cotton, Egyptian Cotton, Non-Iron Pinpoint Cotton, Non-Iron Broadcloth Cotton, and Italian Cotton. You can select the fabric of your choice from the refinements on the left side of our dress shirts page. Imperial 100’s Cotton and Long Staple Cotton are types of luxury Broadcloth yarns with exceptional softness and durability. These fabrics are a type of broadcloth and are tightly woven so that they have minimal texture as well as a slight sheen. The air is warm, the sky is clear, and you and your special someone are ready to do something fun together. Whether you’re heading out or staying in, it’s important to look good. You need to put some time and thought into your outfit to make the right impression. To help you out, we’ve put together some outfits for different scenarios that will be sure to have everyone thinking how lucky your date is. You’ve packed your clothing carefully into your suitcase; you finally arrive at your hotel, only to discover everything has wrinkled. Don’t let this happen to you! Instead, follow our instructions to keep your clothes as neat and smart as they were the moment you packed them. If possible, choose to bring garments made from natural fibers on your trip. Garments made of natural fabrics like cotton, wool, and silk are easier to rid of wrinkles. If they do get creased, you can hang the garments in a steam-filled room, such as your hotel bathroom, and the weight of the material will pull out any wrinkles.